Aphra’s private investigation on behalf of Vader. Vader’s investigation on behalf of the Empire. It all comes crashing together…with deadly results. Vader’s game of cat and mouse with the Empire’s investigator is getting close – too close. While the Empire investigate, Aphra is still looking into the pilot who who fired the shot that destroyed the Death Star. An issue that starts off at a slow pace, but then picks up and speeds up until the very end – when things look their worst! 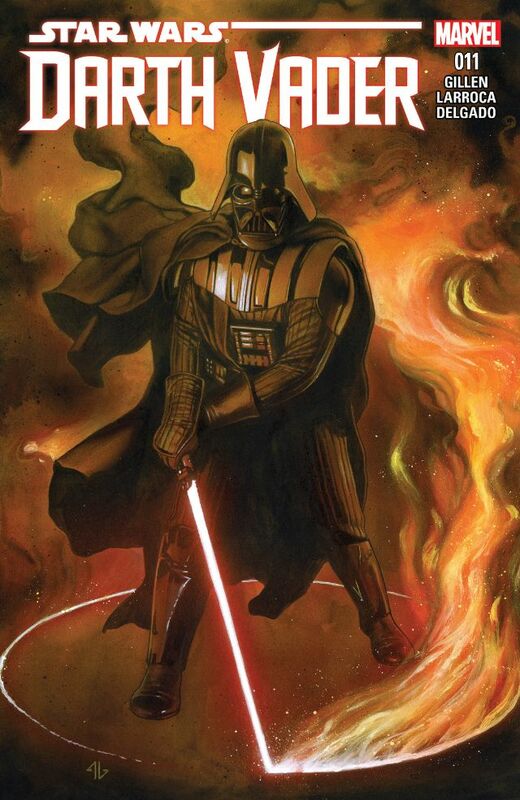 Vader – as usual – keeps his cards close to his chest! Concluding the first new-canon comic tale set between episodes VI and VII! 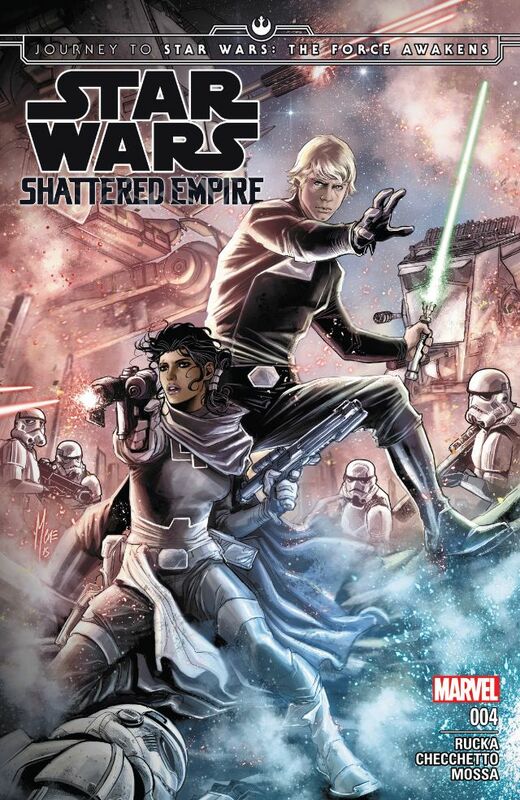 As the Empire Shatters around them, Rebel heroes fight for a better tomorrow! Greg Rucka (Punisher, Cyclops, Wolverine) and Marco Checchetto (Punisher, Avengers World) take us into the more recent long, long time ago! This final issue of the longest titles mini series I’ve seen in a while features a lot more of Luke Skywalker – so, those who moaned about him not being in the trailer – fear not! It’s an interesting issue, as Luke goes on a mission to recover something stolen by the Emperor – and he seems to be doing well! We get an idea of Luke’s strength and his motives too. I wonder how this will effect the movie? The flaw in all things. “My curse is that I see the flaw in all things. Systems. Philosophies. Structures. People. Everything. Never forget who I am. 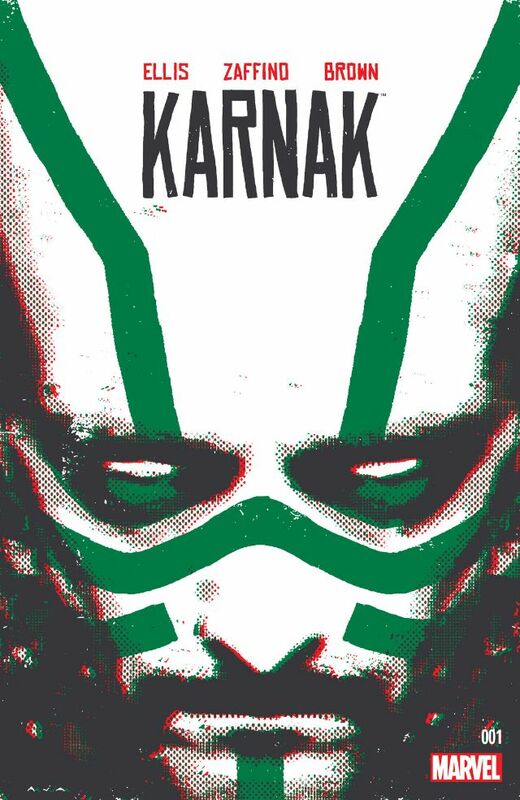 I am Karnak of the Inhumans.” You may not know who Karnak is now, but you will when Warren Ellis (Moon Knight, Planetary) and Gerardo Zaffino are done with you. Phil Coulson goes to Karnak to help with a S.H.I.E.L.D. case with Inhuman implications and what he’s going to find will terrify you. I haven’t really be keeping up with all the Imhuman going ons in Marvel, but I do faintly recall the character. Warren Ellis adds his unique take on a character and works really well. I’m interesting in this hermit type character and his ways. His power set is really well done in this first issue, as is his philosophy. 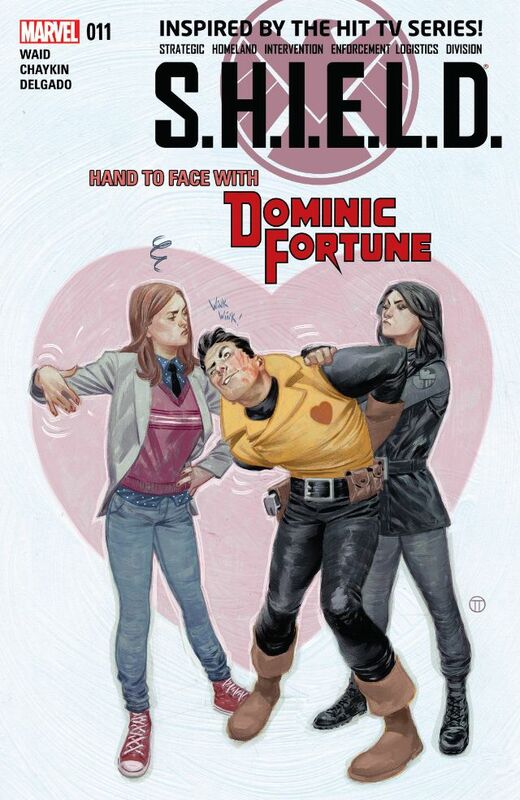 In order to defeat an enemy from the past Coulson and his team must resurrect a hero from yesteryear- Dominic Fortune! Only Fortune remembers the secret to conquering the threat at hand, but if S.H.I.E.L.D. wants it, they’ll have to bargain for it! This started out as a really interesting issue and from the previews I was looking forward to it. Dominic Forture is a good character to use, but I thought he was really undersold here. I got the feeling that this was changed to a single issue at the last minute as everything was squeezed into the final third, this is a shame because two issue could have done it justice!